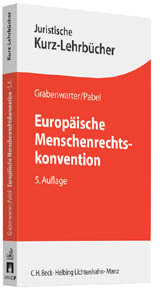 As I am currently enjoying the hospitality of the Ludwig Boltzmann Institut für Menschenrechte (BIM) in Vienna, where I am doing some research, I cannot fail to mention the publication of the fifth edition of an important Austrian publication on the ECHR: 'Europäische Menschenrechtskonvention. Ein Studienbuch' written by Christoph Grabenwarter, professor of law at the Wirtschaftsuniversität Wien and judge in the Austrian Constitutional Court, and Katharina Pabel, professor at the Johannes Kepler Universität Linz. The thorough but compact volume deals with both the substance of ECHR rights as well as with the Convention's procedural law and includes the newest developments such as the upcoming accession of the European Union to the European Convention. I have already benefited a lot from its clear and systematic treatment of the provisions of the ECHR. * Agata de Laforcade, 'L’articulation entre les contrôles du Conseil constitutionnel français et de la Cour européenne des droits de l’homme en matière pénale'. This book examines the broad issue of the rapprochement between the legal systems of the EU and the European Convention of Human Rights (ECHR) and asks whether the two systems are converging. While the literature on the issue of the national application of EC/EU law or that of ECHR norms is voluminous, a specific comparative analysis that takes into account the national judicial treatment of both laws has been lacking, until now. This detailed book begins with some reflections on the importance of judicial interactions in European constitutional law, before going on to compare the relationships between national judges and supranational laws across 27 European jurisdictions. For the same jurisdictions it then makes a careful assessment of way in which ECHR and EU law is handled before national courts and also sets this in the context of the original goals and aims of the two regimes. Finally, the authors broaden the perspective to bring in the prospects of European enlargement towards the East, and consider the implications of this for the rapprochement between the two regimes. The Interaction between Europe’s Legal Systems will strongly appeal to academics and students in European law, comparative law, theory of law, postgraduate students and LLM students in European law and in comparative law. Today, I have a number of miscellaneous issues for you. 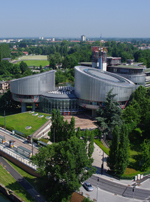 First, over at the Multirights Blog, there is a report about the resumed negotations between the European Union and the Council of Europe on the EU's accession to the ECHR. These new negotiations seem to offer space for a partial re-negotiation of the draft agreement from last year, about which I blogged earlier here. Secondly, my colleagues of the Strasbourg Observers blog have this month launched a blog tribute to the Belgian judge at the ECtHR, Françoise Tulkens, who is stepping down after serving since 1998, the start of the fulltime Court. An innovative and well-deserved electronic tribute! Thirdly, the Grand Chamber judgment in an important freedom of expression case of last month, Mouvement Raëlien Suisse v. Switzerland, has led to a number of interesting online comments about the case. Comments by Rónán Ó Fathaigh are to be found on the Human Rights in Ireland blog; comments by Marko Milanovic on EJIL Talk! 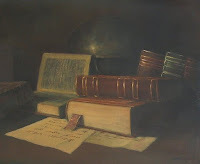 ; by Rosalind English on UK Human Rights Blog; and by Gabrielle Guillemin on Inforrm's Blog. The decision to do so can be made by two thirds of the states' representatives. The Rules of the Committee of Ministers for the supervision of the execution of judgments and of the terms of friendly settlements also specify in Rule 11 that this procedure will only be used in exceptional circumstances. The state concerned will be formally notified and will be given another six months to implement the judgment. During infringement proceedings, the Committee will be represented before the Court by its Chair (which rotates every six months) unless otherwise decided. The latter may obviously apply when the chairing country is also the state against which the proceedings are brought. Thusfar the possibility of infringement proceedings has not yet been used. One may assume that this has to do both with political sensitivity as well as with questions of effectiveness: why would a country suddenly abide by a Court decision in an infringement procedure if it previously consistently declined to implement the original judgment at stake. This summer, however, a first major push has been made to induce the Committee of Ministers to start infringement procedures. In the run up to the Committee's upcoming September meeting, the UK-based European Human Rights Advocacy Centre (EHRAC) and the Russian NGO Memorial Human Rights Centre have submitted a formal requested the Committee to start initiate proceedings against the Russian Federation for failing to comply with the Court's 2005 Isayeva judgment. The case, about the aerial bombarment of a village in Chechnya by Russian security forces, revealed severe human rights violations. Thusfar Russia has failed to conduct an effective investigation into the events. The case is exemplary of many other cases about the situation in the Southern Caucasus: the Court finds multiple human rights violations, Russia may pay compensation to the victims eventually (but not often very speedily) but fails to investigate or to prosecute and punish the perpetrators. The current request by the two NGOs is an attempt to tackle the impunity in the region in a new way. A document compiled by the NGOs shows the many instances in which Council of Europe institutions pointed at this problem. The formal request argues that in this case one can speak of exceptional circumstances due to the gravity and scale but also the systemic and continuing nature of the human rights violations in the region. It is ironic that the very state that delayed the entry into force of Protocol 14 for so many years is now the first to potentially face one of its procedural innovations. It is difficult to predict whether the Committee of Ministers will heed the call of these two NGOs who have been actively supporting victims of the violations at stake before the Court. Is it still too sensitive to launch such a high-profile legal attack on the Russian Federation or do other state parties finally think that more steps are needed than just another series of interim resolutions calling for implementation? There may be another effect of this action though, irrespective of whether infringement proceedings are started. 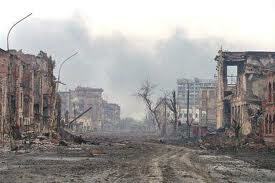 Thusfar the Court has chosen to deal with the human rights violations in Chechnya on a case by case basis. In spite of the calls of many applicants to formally declare that the problem is systemic, the Court has declined to do so (although it did ask questions about the potentially systemic nature of the issues in a case communcated last year, Aslakhanova v Russia - see para. 56 of the NGO request). Maybe the time has come for the Court to state what many observers have remarked for a long time: that the gravity and continuity of the human rights violations are such that there is a systemic problem of violence and impunity in the region. One may hope for all the victims that this latest attempt will not end up in one of the drawers of the Committee of Ministers without any action being undertaken. * A. Hanke, 'Custody and visitation rights in Germany after the decisions of the European Court on Human Rights', Family Law Quarterly, vol. 45, no. 3 ( 2011), pp. 353-360. * D. Farget, 'Defining Roma identity in the European Court of Human Rights', International Journal on Minority and Group Rights, vol. 19, no. 3, (2012) pp. 291-316. * B. Middleton, 'European Court of Human Rights: assuring deportation of terrorist suspects', Journal of Criminal Law, vol. 76, no. 3 (2012) pp. 213-219. * I. Radacic, 'Religious symbols in educational institutions: jurisprudence of the European Court of Human Rights', Religion and Human Rights, vol. 7, no. 2 (2012) pp. 133-149.